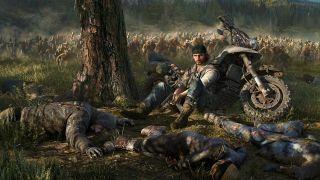 "Bend Studio will take the opportunity to further polish Days Gone"
Days Gone's PS4 exclusive zombie bashing has looked amazing every time Sony has shown it off but clearly its open-world game ambitions are taking a little more time to realise. While the game was originally aiming for a release this year, Days Gone is currently aiming for April 26, 2019, having previously slipped to a Feb release date. While it means our dreams of taking on hordes of 'freakers' before riding our bikes into the sunset will have to wait a little longer, our experience with the game so far suggests it's going to be worth it. Bend Studio can stay out of detention for now. See 2018's most anticipated titles in our comprehensive list of the new games of 2018.